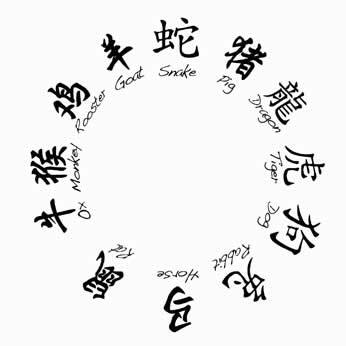 Chinese astrology assigns an animal sign to everyone according to his year of birth. Sometimes the interests and dispositions of these signs clash with each other. Moreover, differences are always bound to occur between two lovers since each individual has his/her own way of looking at the things. At times the discrepancies in relationships also crop up due primarily to the ways of destiny or issues of give- and- take in previous birth. Here is some information about the various astrological signs and their relationships with each other. Rats nearly always yearn for solid and stable relationships. In fact, a rat often feels incomplete and empty without a compatible partner. Rats make great physical lovers and enjoy deep emotional relationships with those they love. A rat realizes its highest potential in romantic relationship with an ox, a good romantic potential with monkey and a dragon. It is least interested in horse or a sheep. Ox people are genial and enduring lovers. It is both a virtue and a vice. An ox may just continue to love if it may not like it. It likes the company of a rat, though it may pull on with a snake and a rooster as well. It, loathes a sheep and a horse. A strong and passionate creature, a tiger can be a tempestuous lover. It loves to take charge of his love affair. Tigers are possessive by nature yet they also love to have some personal space. They are never boring. Tiger loves to partner with a pig, but can carry on with dog and horse as well. It is averse to a relationship with snake, monkey and other tigers. Rabbit is a very sensitive and gentle lover but tends to run away if the affair does not go the way it likes. It loves dog most, but can pull on with pig and sheep. It does not like rooster and dragon. A dragon is a moody lover and is unwilling to make long haul commitments. It loves to mate with a rooster. It has good romantic potential for a monkey and a rat. It does not like rabbit and dog. Although slow to enter into a relationship, a snake gives away everything it has once it falls in love. A snake can be an extremely sensuous but possessive lover. It loves to mate with monkey. It can go with a rooster and an ox. It does not like pig and tiger. A horse can be a good and passionate lover only if you respect its love for freedom. It cannot tolerate jealousy. It easily falls in love and stands by its commitment. It realizes its full potential in its love with sheep. It can also accept tiger and other horses. It is least interested in ox and rat. A sheep wants more to be loved, cared and courted than offering the same in return to its partners. It is more interested in taking than in giving. Sheep derives greatest pleasure in mating a horse. It can accept a pig and a rabbit, but is not much interested in rat and ox. A charming, ever youthful, humorous, adventurous and passionate lover, a monkey is liable to break up its relationship unless its partner is especially devoted and sacrificial to it. Monkey enjoys mating most with snake. It can tolerate a dragon and rat, but is least compatible with pig and tiger. A confident and an emotional lover, a rooster loves to be eulogized and respected. It does not express its feelings openly. You have to watch its gestures. It loves dragon most and can get along with snake and ox. It, however, does not like rabbit and dog. A devoted, tender, caring and sincere partner in love, a dog expects to be taken seriously in its romantic relationships. Dog enjoys to fall in love with rabbit. It can go along with horse and tiger but is incompatible with rooster and dragon. Pigs are often forgiving about the shortcomings of their partners. They love to look on their better side. They love to be kissed and hugged. Pig enjoys mating with the tiger. It can go on with a rabbit and sheep, but is not compatible with monkey and snake.